Earl Sweatshirt in Montreal or Quebec City? Inform me about the next events for Earl Sweatshirt. Enroll yourself to our priority waiting list for Earl Sweatshirt to be alerted when new tickets are available. Filling this form doesn't engage you to any purchase. 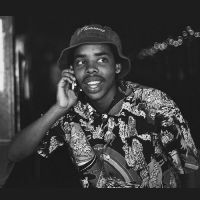 Earl Sweatshirt has borned in Los Angeles in 1994. He's a rappor of alternative hip hop. He will be in concert at the Club Soda in August 2015. Contact us for more information on tickets at 514-tickets.